Solid waste has grown into a relatively difficult problem to solve for those responsible for its management; these responsibilities include the collection, transport, treatment, and disposal of solid wastes, particularly wastes generated in medium and large urban centers. This problem is even more intense in economically developing countries, where the financial, human, and other critical resources are scarce in general. In the last decade, there has been a great interest and awareness regarding the environmentally safe management of waste worldwide, centralized in legislative, administrative, standardization, and research activities in this field. Therefore, it is essential to develop short- and long-term waste management strategies (often named the 3Rs) and their consequent implementation in compliance with the formulated priorities for waste: (1) Reduce, (2) Recycle, (3) Reuse and (4) environmentally safe disposal. Several contradictions and lack of agreement still exist, even regarding the major basic definitions, e.g., which material should be treated as “waste” and which as a “beneficial raw material”, which wastes are “hazardous” and which are “non-hazardous”, etc. Quite often, different approaches – and as a consequence, waste management/disposals – are adopted for the same situation/materials. Environmental risk assessment procedures and mode of actions are varied greatly not only within national levels, but also at regional levels within the same country by different groups of scientists and/or policy makers. The general idea of the book has arisen from the mutual experience of many specialists in numerous disciplines from different countries involved in the problem of environmental assessment, economic and monitoring approaches, and control approaches for chemicals generated from solid waste disposal. Solid waste worldwide issues nowadays reflect the complexity and unbalanced development of our world at the beginning of the 21st century. 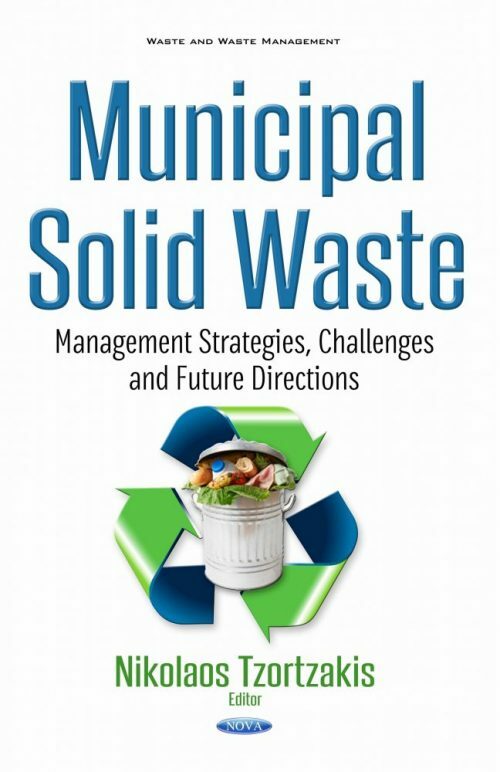 This book covers a broad group of wastes, from biowaste to hazardous waste. The contributors to the book are recognized experts in the diverse fields associated with the issues of waste management and the reuse-recycle of materials, and are from different parts of the world. Authors present their experience and approaches considering both international and national/local specifics. The book is addressed to the wide range of end-users, decision-makers and professionals involved in environmental and agricultural issues: administration, designers, manufacturers, policy makers, farmers, researchers, academics and university students, and is focused on waste properties, environmental behavior and management in an environmentally safe way. It was not the intention of the editor/authors to exhaust the subject, which is intensely broad, but to give a general idea with updating trends in the field of solid waste management concerning disposal, monitoring, assessment and remedial options, which are demonstrated also in case studies. The book is addressed to the wide range of end-users, decision-makers and professionals involved in environmental and agricultural issues: administration, designers, manufacturers, policy makers, farmers, researchers, academics and university students and is focused on waste properties, environmental behavior and management in an environmentally safe way.